There’s always a Learning Management System behinds every eLearning website. For big corporate eLearning websites like EDX, Udemy, Lynda or Coursera, they have their own custom-made LMS. How about mid-size schools, universities or educational institutions? The limitation of time and capital make building their own LMS a ridiculous thing to do. For that reason, a safe bet is to choose a commercial product that is powerful enough to meet their requirements. One exemplary LMS of such low-cost but and effective and high quality is LearnPress. A LMS’s power defines the power of the website. If a LMS is crooked, or if it lacks certain functionalities, it will limit the potential of the website. Choosing a stable and robust LMS for your website should be of your #1 priority. LearnPress is currently the WordPress LMS that has the most number of active installs with 11,000+ installs. It is free and it comes with many great lightweight add-ons. Therefore, while it makes sure your site is powerful enough to deal with things a LMS often has to handle, it makes sure your site is fast. Besides, a contributing factor to the success of an online learning education website is the UI and UX it brought to the user. However important the information is, if it does not come with a great presentation, it will be ignored. Even though LearnPress works perfectly with most normal WordPress theme, the 6 themes mentioned below are the best education and LMS WordPress Theme that are designed especially for LearnPress. 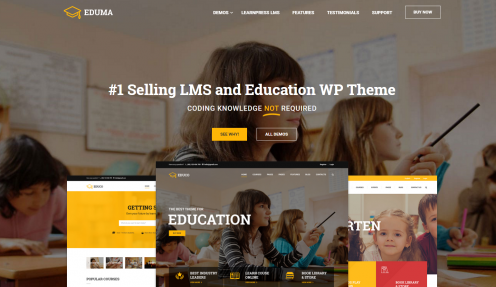 When it comes to LMS and Education WordPress Theme, Eduma is always the one. It is made by ThimPress team, the author of LearnPress, so it utilize LearnPress’s power more than any other themes. Currently, Eduma is the #1 best-selling theme on ThemeForest. It has 10 different pre-decorated demos for schools, universities, kindergartens, course hubs,… etc. Eduma gives you the power of building your dream online school like Udemy, like Coursera in less than 30 minutes without having to write a single line of code. Beside Feature availabilities, Well-designed layouts, Eduma is also famous for having an awesome customer support that is always willing to help you solve any of your problems with the theme. 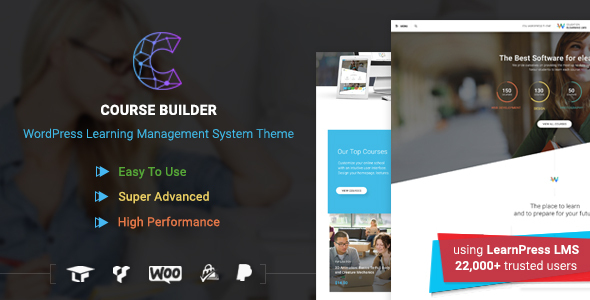 Course Builder WordPress Theme is the most amazing high quality and well-design WordPress Learning management system theme for online learning and education. It is the newest Education WordPress Theme at the moment and it has all the most advanced features one needs to create an online course & membership website. With this theme, you can setup your website up and running in just a few minutes. You can sell your course with many different options: Sell courses individually, sell course based on monthly access or sell courses based on many other methods. Course Builder also have some newest improvement that makes it the most unique theme for eLearning and LMS like: User Course Dashboard, Course announcement, Course Landing Page, etc. Besides, its design quality is top-notch. No other theme can compare with its beauty. All elements are well researched so that nothing is irrelevant. Unlike most other Education WordPress Theme, Coaching WP is built specially for Coaches, Trainers, Instructors and Teachers to improve and promote their name to the world. Having all necessary elements like introduction, event, timeline, course, blog posts,this is the best WordPress theme for instructors on Udemy, Thinkific and Teacheable. The theme even got some beautiful demos for Health Coach and Professional Fitness Coach. So, no matter who you are and what area you work in, as long as you are a teacher, a lecturer, an instructor or a coach, this is the perfect wordpress Coaching theme for you. Released in May 2016, the theme quickly catches on and shows off with an interesting half-traditional and half-modern design. It has 8 different homepage layouts and is completely responsive on any device. Besides LearnPress, Coursaty is compatible with Woocommerce, Visual Composer and Revolution Slider, which are the essential plugins for just about any WordPress theme. The theme was first published in the same month with Coursaty but it represents a different design style. The theme has many animations, evoking an energetic look and feel for the audience.Course pages are designed in a minimalistic way, removing all unnecessary buttons and make courses feel more friendly to register. 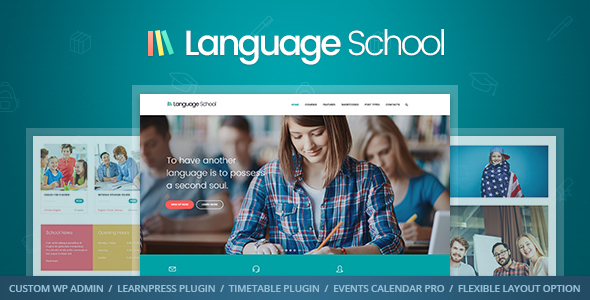 The Language School WordPress Theme is dedicate to language centers to create and sell their courses. It is has a trendy design with many self-made plugins, a great improvement and a great addition for the original LearnPress LMS. 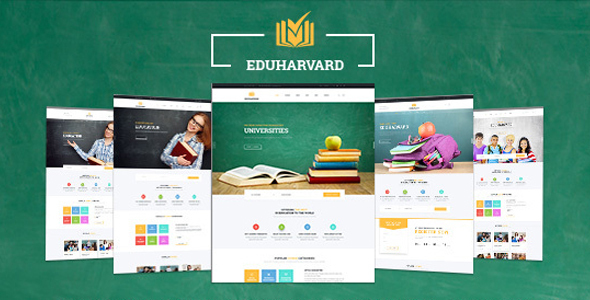 Eduharvard is a newly made but potential Responsive and multipurpose Education WordPress theme. 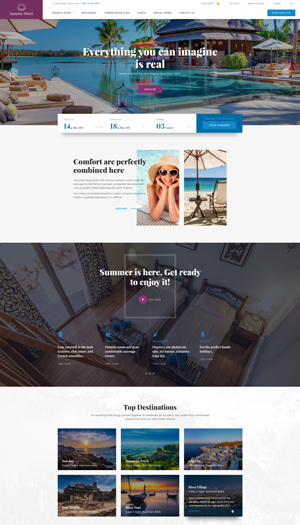 The layout of this theme is quite impressive and it really encourages people to learn. Especially with the help of LMS, the learning process for visitors of websites using this theme is even easier. 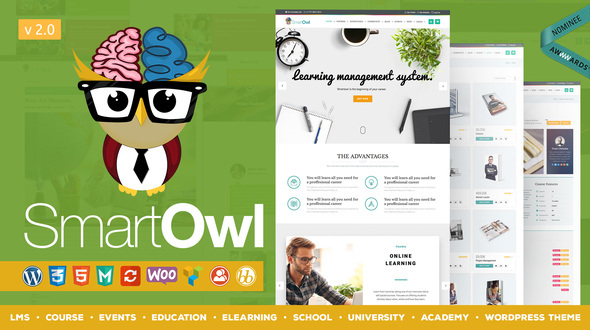 As the name suggests, SmartOwl is about learning to be “smarter”. The author Modeltheme has re-built some parts of LearnPress to give it a seamless and modern outlook. Since this theme is a nominee for the Awwwards, this could be one of your safe choice for eLearning theme. Unlike other costly expensive LMS, LearnPress is free and is still powerful than most. Its wide range of functionalities will allow you to make an education website of any field that you want. The only thing left for you to choose is a theme that fits your demand and a theme that sells. I believe Education WP and eLearning WP are the best option to go for. On the one hand, they are made by ThimPress – the author of LearnPress, and on the other hand, they have the top-notch quality that many other themes seldom have. Besides, choosing these will help you save some money for premium LearnPress addons. 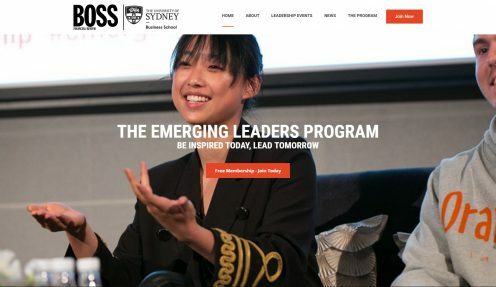 Do you have any theme recommendations for LearnPress that are not sold on Envato? I need a theme that I can purchase a multisite license. With the upcoming stable version 1.0 being updated to LearnPress, Education WP is absolutely the most flexible WordPress education theme ever.